It was earlier seen that Anika (Surbhi Chandna) and Shivaay (Nakuul Mehta) will join hands together to expose Daksh (Karan Khanna). It seems that Daksh will not be able to tolerate his humiliation and will hence plan to kidnap Anika. However Shivaay will once again fail Daksh’s plan and will save Anika from the goons. 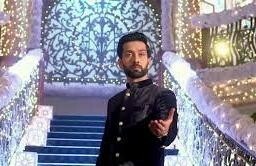 Later on Anika will refuse to go back to Shivaay and Oberoi Mansion. Interesting Shivaay will not give up so easily and will come to stay in the same chawl so that he can win Anika’s heart. On the other hand Anika is adamant not to go back. Will Anika be able to forgive Shivaay or not?